Charge the ancient amulet and cleanse the house of evil! This house is cursed and has been a haven of evil spirits. Who dares to banish evil spirits? You, perhaps? Llift the curse and return it to its former beauty? Charge the ancient amulet and cleanse the house of evil using your Match-3 skills! 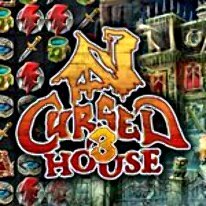 Curse House 3 has new Match-3 mechanics not seen before in other games. Enjoy minigames including all new Solitaire, HOG and Spot the Difference scenes!